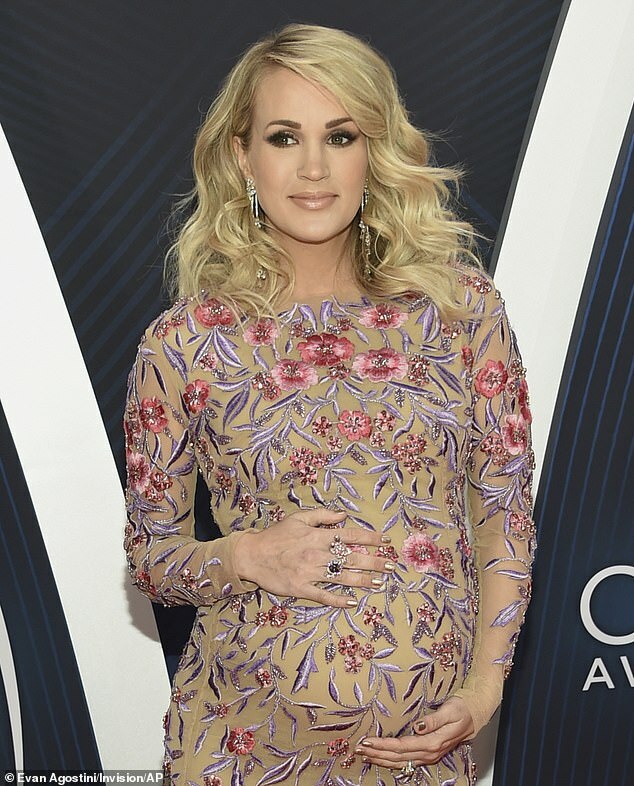 Carrie Underwood’s journey to have a second child was ‘difficult emotionally and physically’. 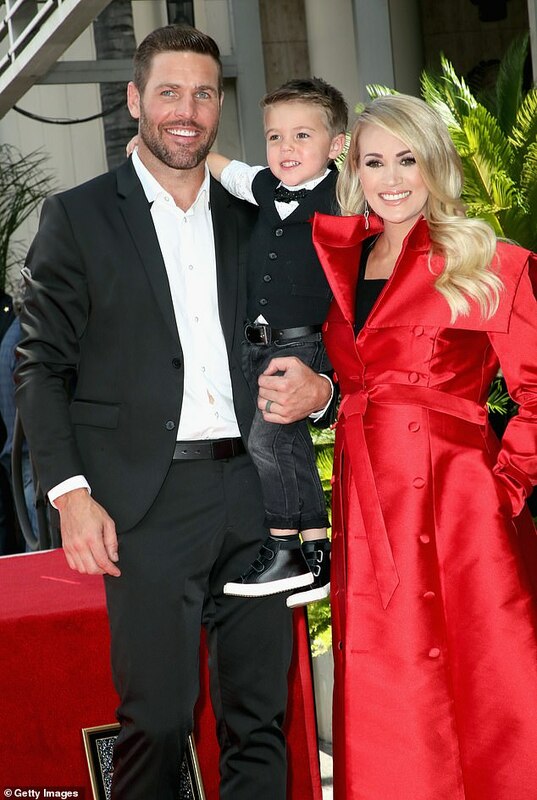 The 35-year-old songstress and husband Mike Fisher, 38, welcomed son Jacob on January 21 and they couldn’t be happier. Friends of the couple say they are in ‘total bliss right now’ since the arrival of baby Jacob – but it’s been a long and difficult road for the couple. 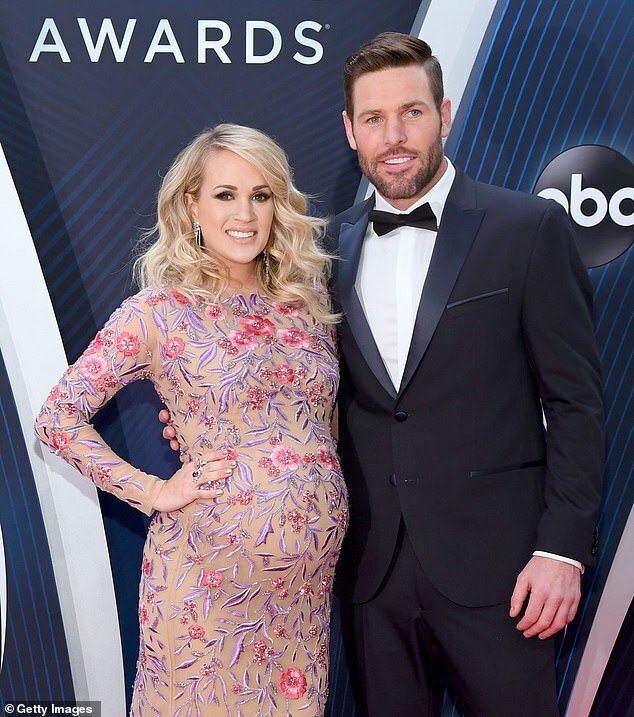 ‘The road to having this baby was so difficult emotionally and physically on both Mike and Carrie, so to have Jacob come home happy and healthy really fills them with immeasurable joy.’ an insider told Us Weekly this week. ‘The delivery was long, but there were no complications,’ they added. 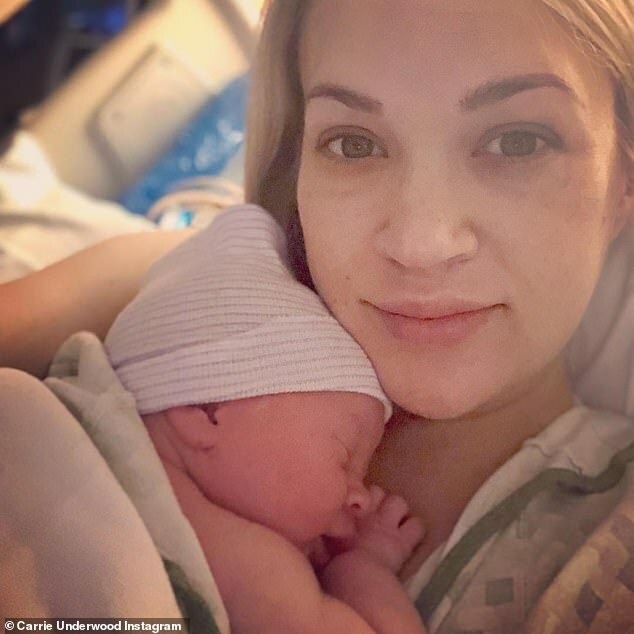 It has been a tough few years for the country star who endured three miscarriages after the birth of their first son Isaiah in 2015. 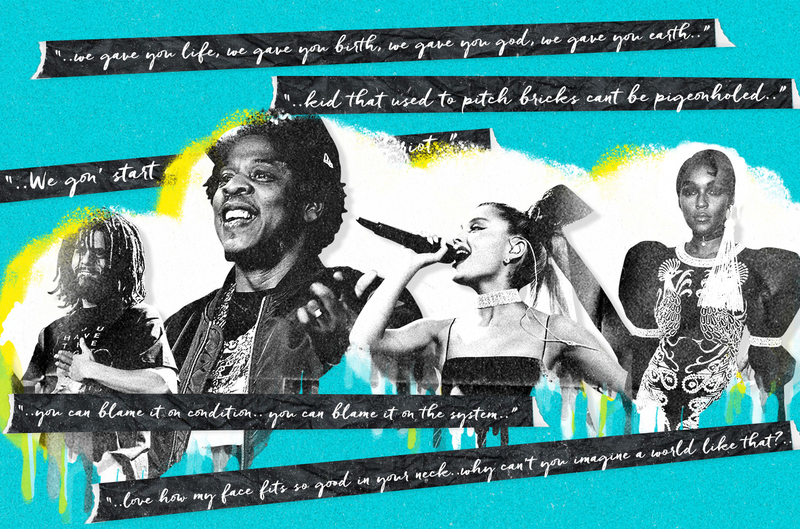 The Before He Cheats hitmaker also suffered a devastating fall at home in 2017 which left her with 40 to 50 stitches and facial scarring. The freak accident at her home in December 2017 happened when she was taking her two dogs for a walk. 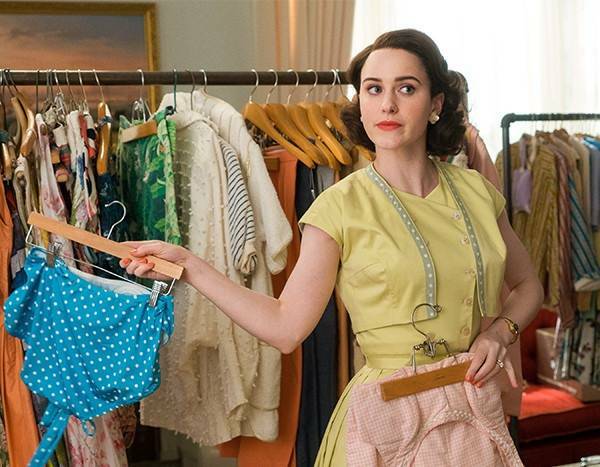 She said, ‘I went to catch myself and I just missed a step,’ she said. 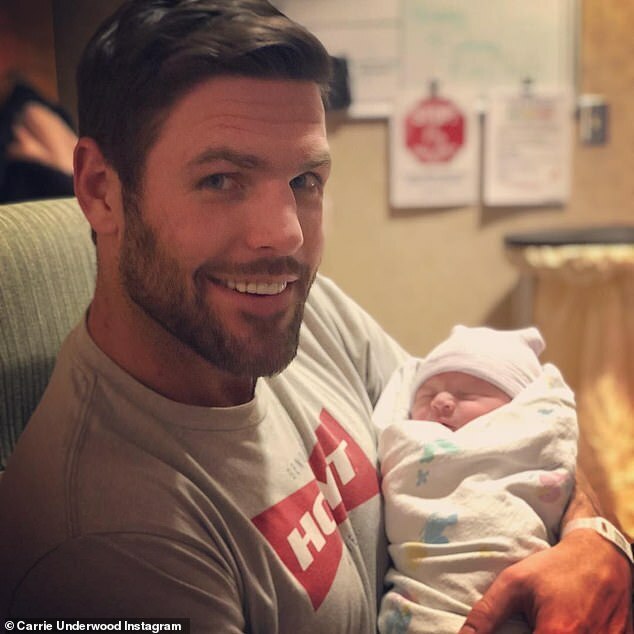 Announcing the birth of Jacob last week Carrie wrote on Instagram: ‘Jacob Bryan Fisher entered the world in the wee hours of the morning on Monday…his mom, dad and big brother couldn’t be happier for God to trust them with taking care of this little miracle! ‘They are just so beyond overjoyed with their healthy baby,’ a source told People last week. The Love Wins singer announced her second pregnancy in August.